Did the Mexican Revolution do away with the ruling class of the old regime? Did a new ruling class rise to take the old one's place--and if so, what differences resulted? 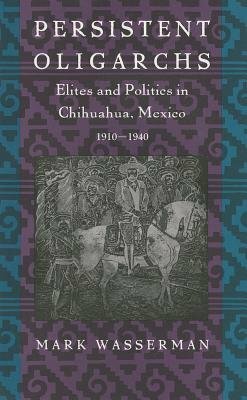 In this compelling study, the first of its kind, Mark Wasserman pursues these questions through an analysis of the history and politics of the northern Mexican state of Chihuahua from 1910 to 1940. "Persistent Oligarchs" concludes with an account of the Revolution's ultimate outcome, largely accomplished by 1940: the national government gaining central control over politics, the popular classes obtaining land redistribution and higher wages, and regional elites, old and new, availing themselves of the great opportunities presented by economic development. A complex analysis of revolution as a vehicle for both continuity and change, this work is essential to an understanding of Mexico and Latin America, as well as revolutionary politics and history.